Ranchi is a town in the State of Jharkhand, some 419 kilometres. north-west of Calcutta. It can be reached by air from Delhi, Kolkata and Patna. The War Cemetery is on Old Hazari Bagh Road, about 1.5 kilometres from Ranchi railway station. 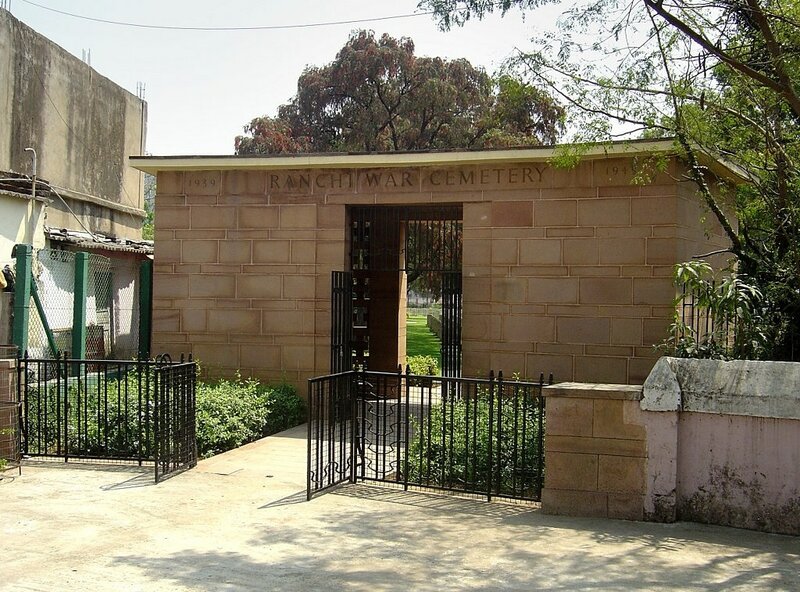 It is situated next to the SPG Christian cemetery near Kantatoli Chwok. The Cemetery entrance being several metres off the road can easily be missed, and few auto rickshaw drivers know the way. Visitors should contact their hotel manager for guidance. There is no residential cartaker on site and the gate is locked between 5pm and 8 am. During working hours the cemetery register can be obtained from one of the gardeners. The cemetery is open Monday to Friday and Saturday morning: it is closed all day Sunday. There is no residential Caretaker on site and the gate is locked between 5pm and 8am. During working hours the cemetery register can be obtained from one of the gardeners. After the fall of Rangoon in March 1942, the probability that the Japanese would occupy the whole of Burma constituted a grave threat to India and Ceylon. The forces available for defence were dangerously weak; apart from those deployed on the north-west frontier and on internal security, there were only seven divisions, and these lacked ancillary troops and equipment. The air force and airfields were inadequate and the fleet as a whole was in no position to dispute command of the Bay of Bengal. In March and April 1942, 100,000 tons of shipping were sunk in the bay. Internal disturbances in India presented an additional threat, and some of the worst troubles occurred in districts of Bihar. In May 1942 five further divisions reached India, followed in June by two more, and the air force strength was increased. Ranchi became an important base, and the 70th Division, less one brigade in Ceylon, was posted there to meet any sea-borne attack on the Orissa coast, and to form the only reserve to support Assam or Bengal. 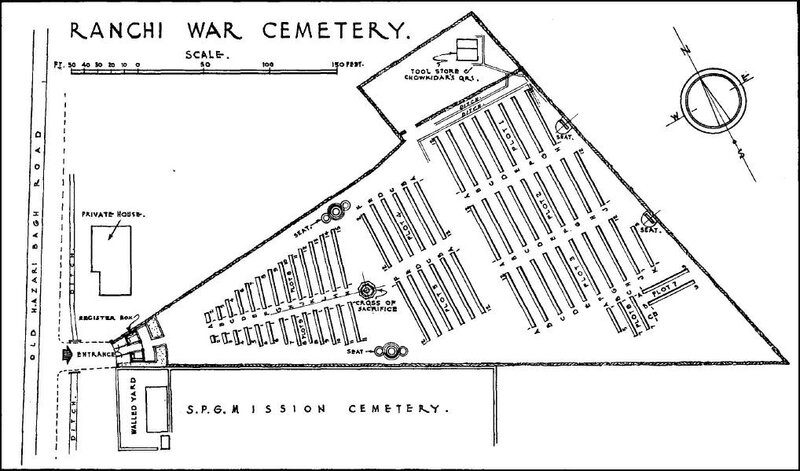 The cemetery was begun on 1 June 1942 by the army, and used until the end of the war. 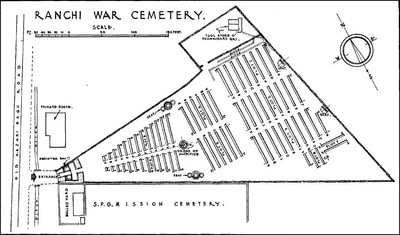 Afterwards graves from isolated positions and small inaccessible cemeteries were brought in, and in 1952, more than 200 graves were transferred to the cemetery from twelve civil cemeteries. Ranchi is the smallest 'concentration' cemetery in India. 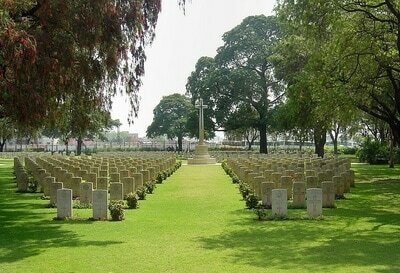 There are now 704 Commonwealth servicemen of the Second World War buried or commemorated in this cemetery.